There is something extra special about God’s people coming together and sharing their talents in offerings of praise to Him. 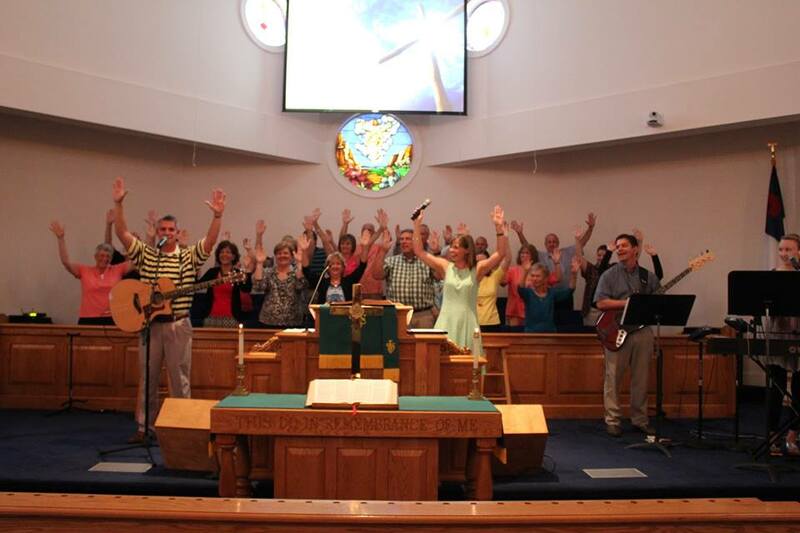 The Garris Chapel Choir, Worship Team, and Media Team do not aim to praise the Lord our way; we praise Him his way. It is such an honor and a blessing to lead the congregation each Sunday morning to declare God’s overflowing mercy, power, and grace. Psalm 150 says “let everything that has breath praise the Lord”. The Garris Chapel Choir directed by Jaime Cox is a family of 30 non-auditioned singers that seek not to entertain or perform but to enter the presence of the Lord and to worship in spirit and truth. Believing that music plays a vital role in the worship experience, the GC Choir sings music that reaches the hearts and touches the lives of everyone they minister to. Styles of music include The Brooklyn Tabernacle Choir, Christ Church Choir, Southern Gospel, and Modern Worship Songs. 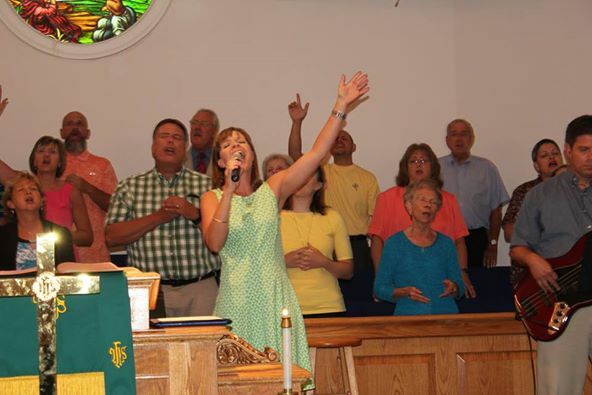 The GC Choir rehearses weekly on Wednesday evenings following GCXtreme and ministers weekly in both the 8:30am and 10:45am Worship Services. Please contact Jaime Cox to learn more about how to get involved with this special group of people – garrischapelmusic@gmail.com. The Garris Chapel Worship Team is a growing ministry of dedicated and gifted musicians and vocalist whom God has called together to lead worship. All members of the Worship Team share a common thread in their love of making music but they know their ministry exists for a higher calling. Their ultimate goal is to lead God’s people into sincere and honest moments of WORSHIP before our God, the one who we were created to worship. Their style of worship is relevant to all believers regardless of who you are and where you’ve been. Musical influences include Chris Tomlin, Hillsong, Kari Jobe, and many others. Under the direction of Worship Leader, Jason Cox, the GC Worship Team rehearses each Wednesday following Choir practice and leads worship weekly in both the 8:30am and 10:45am Worship Services. 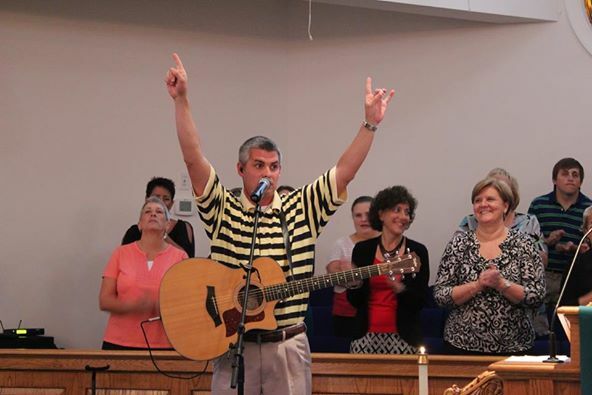 To learn more about this ministry please contact Jason Cox at garrischapelmusic@gmail.com. Without a doubt this group of people may be one of the most important ministries within the life of the church. Although you will seldom see or hear from the folks on this team, they work tirelessly behind the scenes to ensure that each and every worship experience is quality time spent with the Lord. The Media Team of Garris Chapel exists to enhance worship through the use of lighting, audio, and visual projection. Other areas of the team include website design and social media. If God has gifted you in one of these areas or you would like to know learn or know more about opportunities to serve on this unique team please contact Jason Cox at garrischapelmusic@gmail.com. Copyright © 2013-2014 Garris Chapel UMC, All Rights Reserved. Website by Edge360 Creative.